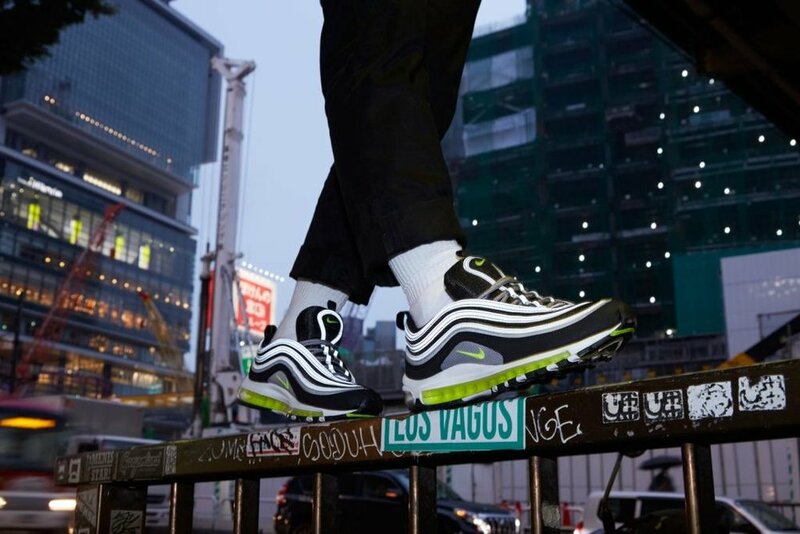 Continuing to celebrate Christian Tressers elaborate runner, Nike have brought out an extensive range of Air Max 97’s this year to commemorate the icon and it’s 20th Anniversary. Drawing design inspiration from both Japan’s 200mph Bullet Train and Tresser’s favorite mountain bike, the “La Silva” was a revolutionary design that found itself adopted by many Italian subcultures. This particular colorway of the shoe was exclusively available in Japan and this will be the first time Nike have reissued it outside the country. The Air Max 97 “Japan” releases on October 28 at selected retailers such as size?